Ruskin Mill biodynamic training is a practical training in Biodynamic Agriculture, within the context of human development and education. 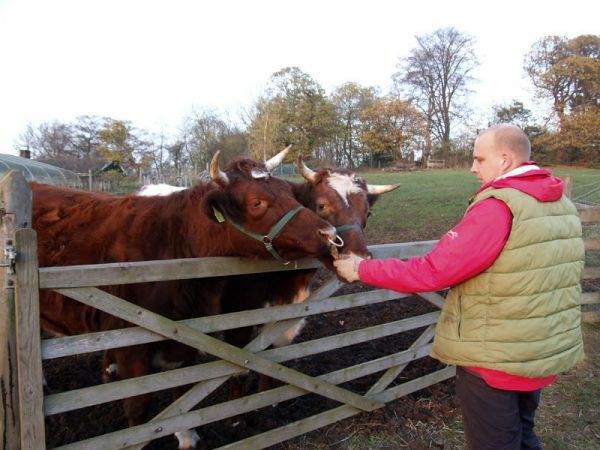 The course has been designed by experienced farmers, gardeners, teachers and senior practitioners within the Trust – where Biodynamic Agriculture is embedded in enterprise, management and education. What makes this programme unique is its holistic and integrated approach to how people and different geographical locations interrelate. The Biodynamic approach to agriculture is founded on the concept of ‘the whole farm organism’, and the inter-relationship and connectivity between the various parts. Biodynamic Agriculture lives at the heart of the Trust’s method of Practical Skills Therapeutic Education (PSTE) and as such, we use the land as context and means of engagement in bringing about person-centred learning and development. It is the integration of these dual aims that makes our approach unique and valuable.